The ultimate apple pie requires a buttery, flaky crust and a spiced-just-right filling made with mounds of fresh, sweet-tart apples. 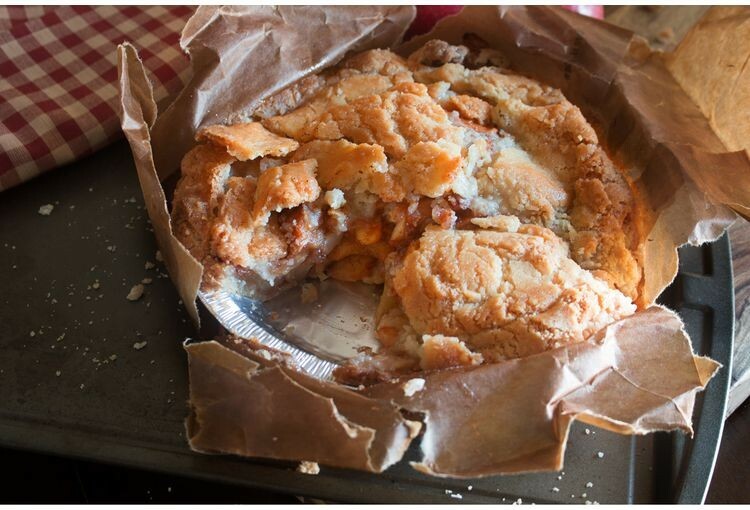 Thankfully, we deliver on all that with The Elegant Farmer's 8-inch apple pie with crunchy top crust. Arguably, the best way to eat an apple a day, this pie has received accolades from The Wall Street Journal, Food Network, and just about everyone whose been lucky enough to have a bite! Can't make it to Wisconsin to pick one up yourself? Now you can buy it right here at Rastelli Market. From frozen to perfectly baked in under an hour! Heating Directions: FROM FROZEN: Preheat oven to 325*F. Place pie on baking sheet. Bake the pie for 55 minutes. For best results, slice using an electric knife. Do NOT let the bag touch the sides of the oven or the heating element! Most delicious apple pie I ever had. The crust is incredible, nice and crisp. The apples are perfectly seasoned with cinnamon. Only thing is, it takes longer to cook than stated, at least 90 min. 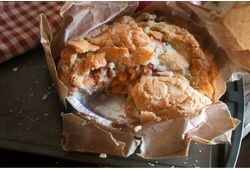 This apple pie is a favorite in my household. 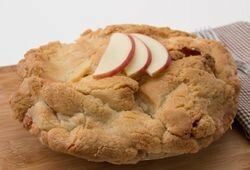 The sugar cookie crust blends beautifully with the delicious apple and cinnamon middle. Best apple pie I've ever had!